This category is where you will find tips on how to avoid mistakes when installing coatings and flooring. We will also discuss how to get around certain problems. Car showrooms present a particular challenge in that you need to be able to park your vehicles inside them, but there is little doubt that they can cause problems for your floor. Even the sturdiest of concrete floors are going to have their fair share of difficulties, and for a few different reasons. First of all, you have to consider weight, and secondly, you need to consider the damage a vehicle could potentially do to a floor. Traditionally, a showroom car won’t have to worry about oil leaks due to the new quality of the parts within, but there are so many other factors that need to be considered. 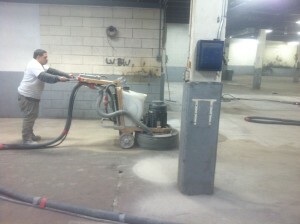 The importance of having a good commercial epoxy floor coating simply cannot be overstated. Luckily, Armor II is here to meet your needs. If you’re here then you already know the benefits of an epoxy floor, but we will reiterate a bit. First of all, epoxy flooring is very smooth, but it is slip resistant, meaning you won’t have to worry about accidents while you are working. Secondly, it is both scratch and chemical resistant which makes it ideal for any type of commercial floor. This is especially true, however, in the case of a show room floor. Let’s talk a bit about Armor II and the benefits that it can offer you. We’ve covered many of the benefits, but one thing that many other epoxy fall short on is the usability by the average individual. One of the biggest problems that people tend to have with epoxy flooring is their inability to install it themselves, and of course having to call on the services of a professional. 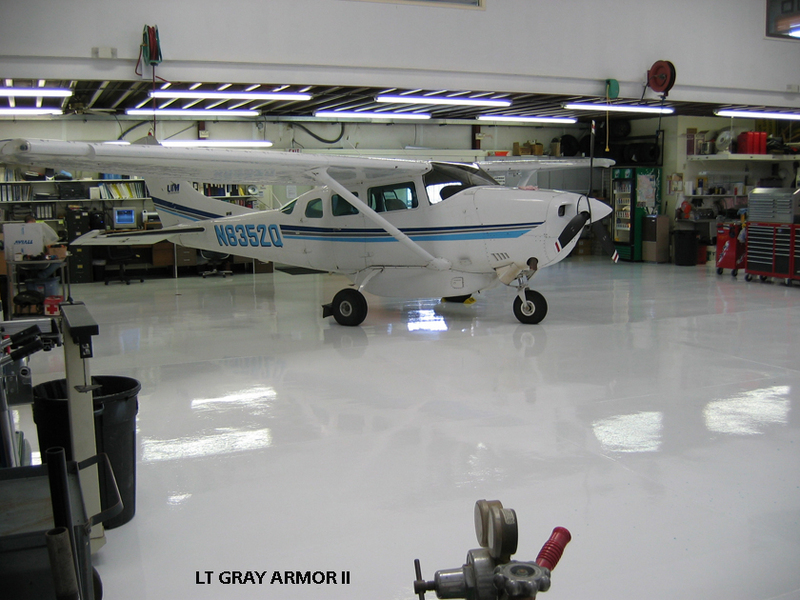 The Armor II commercial epoxy floor coating however, can be installed by anyone, and is specifically designed as a ‘do it yourself’ product. So what sets this coating apart from many others? Let’s start with the fact that it’s rated for up to G-650 Aircraft. Inside the kit you’re going to find all the tools you need to get started, from the 2-part epoxy base coat, to the floor prep etch solution. It’s never been easier, and it even comes with epoxy rollers to make adherence to the instructions simpler than ever. A showroom is a bit different from other rooms that will require an epoxy flooring, mostly in that instead of constantly working on vehicles and other projects, you will be building a room in which to show off your vehicles. This applies in many different scenarios, for example you might be a car collector that allows either the public or the occasional individual to view, or simply to show off to your friends. Either way, there are several characteristics that you will want your floor to have. First of all, you need it to look good, and you need it to take on the incredible aesthetic that only commercial epoxy floor paint can provide. The second thing you will want, is to make sure that it’s bright. Even if your epoxy is a bit of a darker color, it will still reflect light quite nicely, and that will mean energy efficiency along with a sharpness and contrast that a typical floor would simply fail to deliver. This might not be a military grade coating, but it’s nothing short of amazing. If you want to take it a step further and make your new floor even more amazing, then it would definitely be within your best interest to invest in a topcoat. Keep in mind that many competitors try to pass off clear epoxy as topcoat, but in a technical sense, a topcoat needs to have a lower abrasion rating that the epoxy otherwise it provides no benefit. 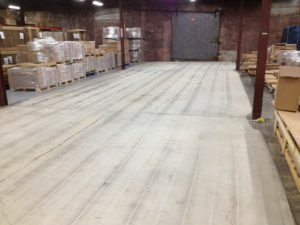 All ArmorGarage floors last much longer as they adhere to these standards and provide the best flooring solution in the epoxy industry, hands down. What is a Topcoat and Why is it Important for a Garage Epoxy Floor? Are you considering the installation of garage flooring epoxy? If so, then you must add a topcoat to your floor. If you’ve never applied an epoxy floor coating, then you might be curious as to why you need one, and we are here to tell you that it is not optional. 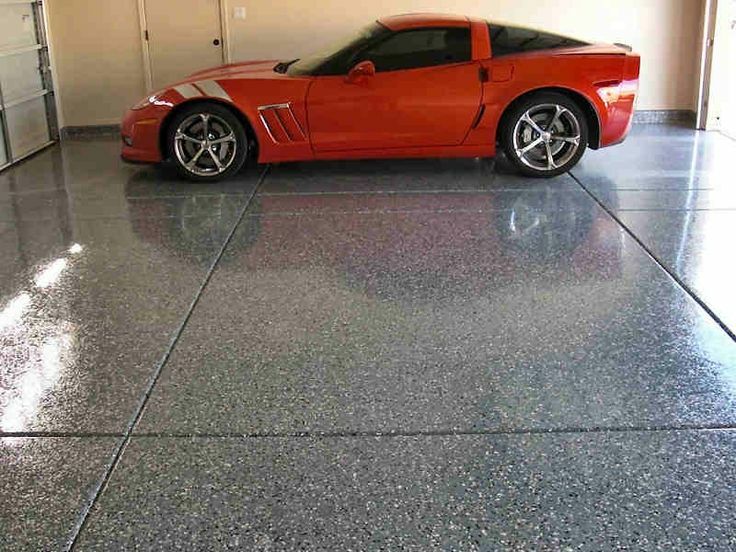 By itself, an epoxy floor can withstand small impacts, it is scratch resistant, slip resistant, and it is even able to resist chemical spills that would tear any other garage floor to pieces! Once you have installed your epoxy flooring however, a topcoat can add that little something that you just can’t get otherwise. Let’s talk about some of the benefits of a topcoat and why you should most definitely consider covering up. The garage floor epoxy cost will only raise marginally with the addition of a topcoat, and one cannot argue with the fresh, clean shine that a topcoat awards to the already formidable epoxy coating. Once you add a topcoat, the flooring will become very reflective, which will help to make the room you’re in a bit brighter, even if the floor is of a darker color. The topcoat is a much harder coating than the epoxy and is there to protect the epoxy for wear and tear. Our military topcoats are designed to last up to 20 years. If and when you ever do wear one out you can simply roll on another topcoat and bring the floor back to new. The epoxy stays protected indefinitely. The epoxy flooring was going to be pretty easy to clean in the first place, but now, with a topcoat, it will become even simpler. All you need is a garden hose and some dish detergent for stubborn spots. Your topcoat acts like a Teflon coating so that nothing likes to stick to it. Some people broadcast multi color chips when into the epoxy and of course others do not. We don’t’ know for sure which of these camps you’re going to fall into, but there are definitely benefits to using armor chips. For example, they will draw attention away from imperfections that existed on the garage floor prior to epoxy. In addition to that, they can add a splash of color to pick up or accent other colors in the room. Chips will add a little texture to the floor but are mainly there for aesthetic purposes. Everyone knows that epoxy flooring wears out eventually, even if you were to opt for a professional installation. The general lifespan of the best garage floor epoxy is somewhere in the neighborhood of fifteen-twenty years, a good topcoat can help to ensure a long life for your epoxy coating. First of all, a topcoat is going to make the floor more wear resistant, and secondly, it will ensure that all damage done to the floor is done only to the topcoat , which can be touched up or replaced as needed. An epoxy cannot and should not be used as a topcoat. Even though some of our competitors sell a clear version of their epoxy as a topcoat. This is a complete waste of your time and money. One of our competitors says that they add in UV additives to the clear epoxy, that still does not make it a topcoat and is still a complete waste of time and money. Don’t be lured into an inferior product by saving a few dollars. As you can see, there are plenty of reasons to use a true topcoat in your garage. There are many who might consider the topcoat to be unnecessary or ‘overkill’ when you are simply equipping a residential garage, but let’s be honest, you need an extra layer of protection. From chemical spills, to car tire abrasion, to potential scratches, all of that falls under the umbrella of protection that your topcoat offers. Don’t leave your epoxy uncovered! There are a number of great reasons to invest in garage floor epoxy for your workshop, garage, or even inside your home, and you’ve probably heard that there are some amazing benefits. We aren’t going to argue, but before we go any further, let’s talk briefly about what epoxy is and how it can benefit you. 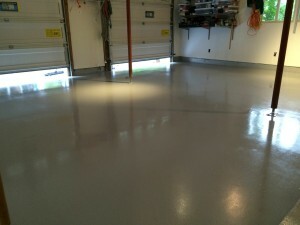 First of all, epoxy is, without a doubt, one of the most crucial upgrades that you can make to a garage floor. Many tend to mistake it for paint, but it is most definitely not standard paint. If you prepare your floor properly before application then you will find that it is able to withstand small impacts, scratches, and a plethora of other potential issues. The bottom line, is that garage epoxy saves you money, even if it costs a bit to get it properly applied. These points we mentioned should be enough to make anyone consider applying it to their floor, but what if we were to tell you that there is more to it? That’s right we’re talking about chemical spills. When you’re in the garage anything can happen, and chemical spills are right at the top of the list. The question you need to ask yourself, is how do you compensate for those spills? Concrete floors are porous, and as such they will absorb virtually anything that is spilled on them. Have you ever spilled water on a concrete garage floor? Did the water remain standing, or did it eventually disappear? Many mistake this for a different process known as evaporation, but the water is actually being absorbed into the concrete. That isn’t necessarily good for your floor, but it is tame compared to the other substances that can be spilled. Corrosives, for example, could find their way into your concrete floor and cause serious damage. It could damage your garage door as well and then you might need the assistance of a company similar to Garage Door Repair company Denver. Let’s talk about a few chemicals you will need to watch out for, and that a good garage epoxy flooring can compensate for. Battery Acid – If you store cars in your garage or if you park golf carts or other small engine items this is bound to happen. Maybe you’re not a mechanic, and maybe you aren’t one to constantly go under the hood, but at some point you may need to change the battery, or you may need to have someone else do it for you. Batteries leak, and the substance within them is most definitely a corrosive – something that you will want to think about when you’re doing any sort of automotive work. Have no fear battery acid has no effect on our garage epoxy coatings! Fuel/Oil – Just as with battery acid, this is the one that happens quite often, and it is actually far more likely your vehicle will drip some oil on the floor. 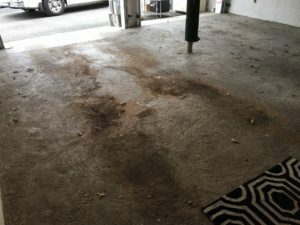 Leaks are inevitable, and there is a good chance you’ve seen at least one garage floor covered in oil stains – you don’t want your garage floor to be like that, not by any stretch of the imagination. That being said, you must make sure to protect your floor from these leaks – at least if you want it to last for the foreseeable future. Nothing looks nastier than an dirty oil stained concrete floor. Keep your floor from becoming that ugly stained floor constantly needing stain removing cleaner with our easy to apply garage epoxy kits. Paint ­– It’s harder to clean paint off of your garage floor than you might think. The problem, as we mentioned before, is the porous nature of concrete. It will absorb the paint, and it will be very difficult to remove it completely. With an ArmorGarage epoxy coating with a topcoat you never have to worry about paint spills. Paint will wipe off like water runs off a duck’s back! Beverages –You might not think of an ice cold glass of Coca-Cola as a chemical but let’s face it, if you can dissolve a nail in the substance in under a week, it’s not something you want to spill on your garage floor. Your ArmorGarage floor can even withstand the dreaded Coca-Cola spill! With the right garage floor epoxy coating you will have a floor that can not only reject those spills, but also one that is very easy to clean. You won’t need to spend all day scrubbing; the chemical resistant floor will be able to reject the spills, and with its non-porous nature, you won’t have to worry about anything being absorbed, making cleaning a breeze. Now would be a great time to start looking into the different types of epoxy flooring we offer, whether you find yourself interested in a standard garage coating, or if you want to the commercial or industrial system for even more protection. We have an epoxy system for any floor and any level of protection needed from any type of chemical spill that could occur within your garage. 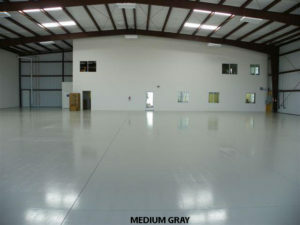 These three standards are easily met with good commercial epoxy floor coating for a few reasons. Let’s take a look at the benefits a good epoxy coating can provide and how it will help your productivity in both the long term and the short. To put it in layman’s terms epoxy flooring is a coat of paint. To expand on it a little further, it is usually multi layers of two part coatings designed for your commercial floor, capable of not only withstanding impacts, but also preserving the integrity of the surface for the foreseeable future. Epoxy coatings are many grades superior to conventional paints. 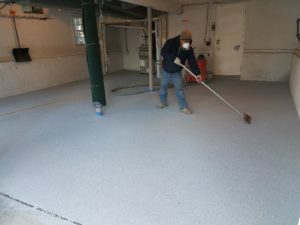 Cleanliness – This is a huge factor in commercial epoxy paint as your floor will be able to withstand chemical spills in addition to making for an easy cleanup. If you want to clean your epoxy floor, all you need is a mop and a bucket of soapy water. In contrast, with a typical concrete floor, you’d probably find yourself breaking out the industrial cleaners and making a complete mess. With epoxy coatings on your floor that doesn’t have to be the case! Safety – In any industry there are going to be safety issues, whether they come from the machines you operate, the products you handle, or the environment itself. With so many potential problems, one that you don’t want to deal with, is your floor. Epoxy not only looks good, it is anti-slip, providing a high friction surface for the most demanding of industrial applications. As you traverse the factory floor, carrying heavy equipment or simply going about your everyday routine, you want to make sure you aren’t falling, or even causing others to fall. This comes right back to the cleanliness factor; your ability to keep the floor clean with little to no effort will contribute greatly to the safety of the work environment. Aesthetics –When it comes to commercial epoxy paint we really cannot say enough about the aesthetics. First of all, you’re going to find that the majority of commercial organizations, (aircraft hangars especially) tend to use bright white epoxy. Why exactly? Because the white flooring actually amplifies the light that is cast upon it. With a bank of high end fluorescent lights hanging overhead, your floor will be extremely reflective and it will once again be safer. With the provided reflection it will be easier to work underneath vehicles and other pieces of equipment, giving you a clear line of sight and the ability to be much more productive. Not to mention it is just simply gorgeous! Of course, the aesthetic benefits don’t have to end here. One of the most common applications for epoxy flooring as of late has been to color code the floors. While it would always be beneficial to paint the entire floor white, you can still get the same brightness properties from different colored floors such as light gray or off white. That being said, a very popular technique is to paint different sections of your establishment using different colors to designate various areas by painting the floor one color, and stripping it, or by using a different color topcoat over the basecoat. This is a great way to promote a better flow of work in your commercial establishment, and a great way to keep organized and highlight safety or hazardous areas. Overall, commercial epoxy floor coating is an outstanding method of keeping your floors protected, and it is also great for making sure that your establishment remains free of contaminants and other problems that could potentially damage the product or even make your employees ill. Concrete is always the preferred surface in any commercial situation, but sometimes it needs a little bit of help, and that’s where a little bit of epoxy can go a long way. When doing an epoxy flooring job with color flakes you have the choice of how many pounds to broadcast into the epoxy. Some epoxy kits come with a ridiculously small amount of chips that makes your floor look like it got the measles. We offer two kits Armor Chip & Armor Granite. Armor Chip has 8lbs of color chips for a medium chip coverage, about 75% and Armor Granite has 20lbs of chips for a heavy chip coverage about 90%. How much you do is up to your personal taste. We give plenty of chips so you can toss them into the epoxy until your eye tells you to stop cause you like the way it looks without worrying about running out of chips at the end. If you start out with insufficient amount of chips you will be forced to stretch them at the end and your floor will have a very obvious uneven chip pattern. What we want to point out to you in this article is that although a full broadcast system looks great it is much more difficult to do. If you’ve never done it before we advise against you doing it. It is very difficult to get the chips to come out looking right, it takes a LOT more chips to do the job right and it take a lot more topcoat to cover the chips because you have to fill in all the nooks and crannies. It takes experience to get a full broadcast floor to look professional. Plus it adds significant cost in the amount of chips and extra clear topcoat that you will need. This is the reason why we offer our Armor Granite kit, you get the benefit of that beautiful granite look without the difficulties and cost of a full broadcast floor. So if you want a full broadcast look, hire a pro to do it for you. If you like the way the floor looks below then you can do it yourself with one of our epoxy kits. We don’t know about you but we think it doesn’t get much better than this floor which happens to be an Armor Granite kit. PS: You can still purchase our epoxy kits and have someone experienced apply it for you if your heart is set on full broadcast. Just call us so we can order the right amount of extra chips and topcoat for your floor size.